Centred on the lively intersection of Yonge Street and St. Clair Avenue, Deer Park is an upscale neighbourhood that mostly attracts professional families. It combines upper-middle-class comfort with stunning natural beauty. 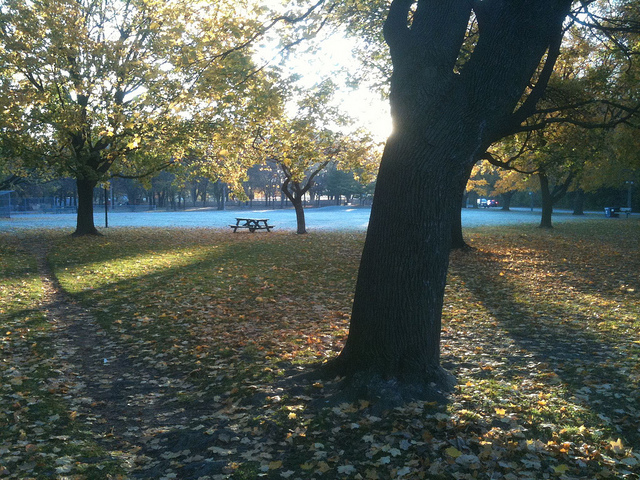 The neighbourhood is not only one of Toronto’s busiest shopping, entertainment, and business districts, but it is also abundant in luxuriant vegetation and surrounded by majestic trees. From exceptional boutiques to other staple retailers, you can find anything in the commercial hub of Deer Park. 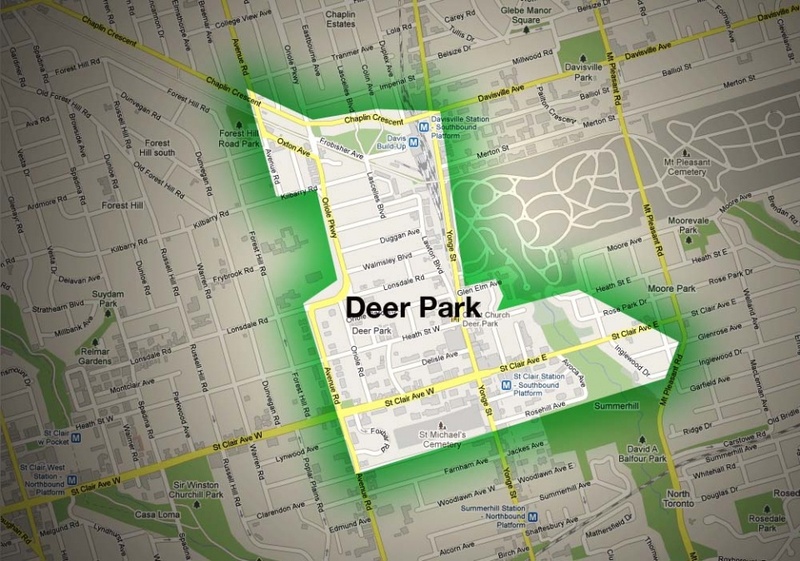 The boundaries of Deer Park are roughly defined as the CP railway tracks to the south, the Belt Line trail to the north, Avenue Road and Oriole Parkway to the west, and the Rosedale Ravine to the east. Established in the 1830s, Deer Park is one of Toronto’s older neighbourhoods. Before the area on the northwest corner of Yonge and St. Clair was purchased by the Heath family in 1837, it had been referred to by First Nations people as “Mushquoteh,” meaning a meadow or opening in the wood where deer come to feed. Numerous deer were still roaming the Heaths’ property, so the family was inspired to select Deer Park as a name for their land. Although the area still bears the same name, deer are notably absent. By the 1850s, the neighbourhood had grown vigorously. Country villas, a racetrack, a school, a store, and a hotel had been erected and scattered throughout the area. This was the time when one of Toronto’s oldest cemeteries, St. Michael’s Cemetery, was opened by the Roman Catholic Archdiocese of Toronto. Meanwhile, the Heath property was subdivided into 33 lots in 1846 and entirely sold off by 1874. A few years later, the big electric streetcars of the Metropolitan Railway began climbing the steep stretch of Yonge Street and the once tranquil Deer Park began its boom. 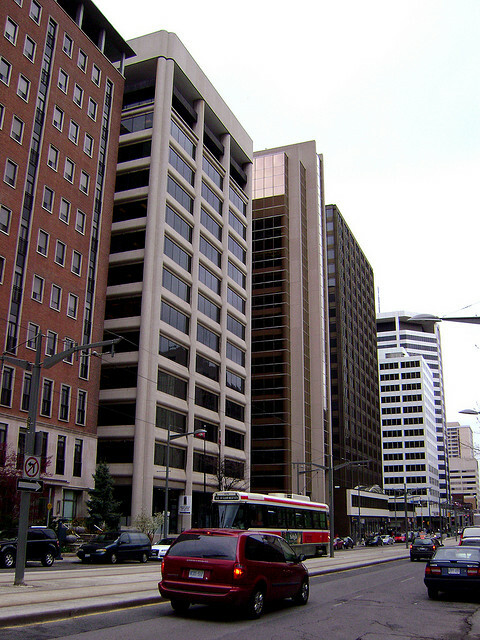 The arrival of new families resulted in the proliferation of buildings along St. Clair Avenue West. 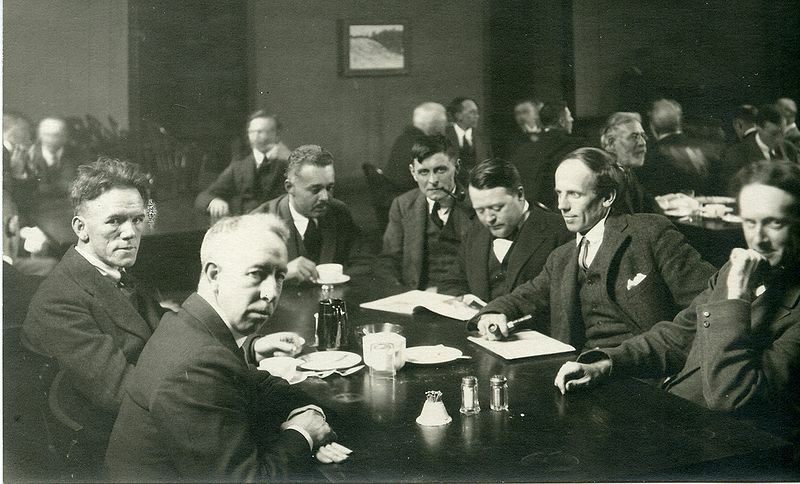 Deer Park was eventually annexed by the City of Toronto in 1908, and by the 1930s, it had become a thriving residential district and a highly desirable neighbourhood. Deer Park has been home to some famous citizens, including the classical pianist Glenn Gould (Apt. 902 at 110 St Clair Avenue West), J. E. H. MacDonald — a founding member of the Group of Seven artists (40 Duggan), writer Farley Mowat (at 90 Lonsdale Road for six months in 1939-40) and poet Margaret Avison ( Apt. 104 at 150 St Clair Avenue West). Novelist Joy Fielding wrote “Kiss Mommy Goodbye” while living at 83 Lonsdale Road during the last three years of the ’70s. St. Michael’s Cemetery, a ten acre cemetery, opened on September 28, 1855 and holds an estimated 29,000 graves. It is surrounded by the backs of buildings, making it almost invisible from the street. 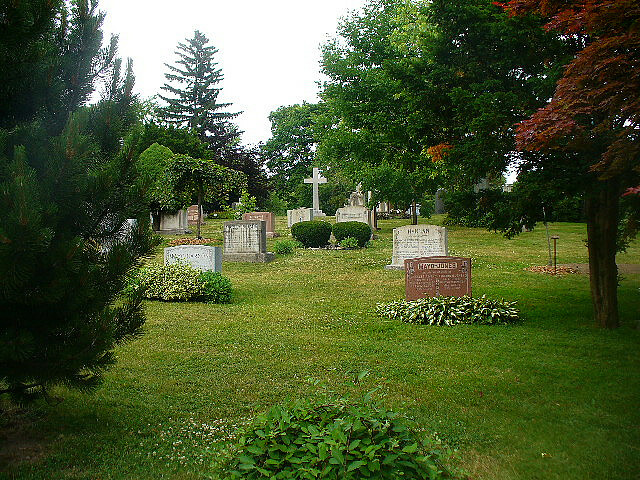 Its octagonal mortuary vault was designated a historic property under the Ontario Heritage Act in December 1975. In 1891 Upper Canada College moved from its downtown location at King and Simcoe Streets to the then rural Deer Park area, establishing a large campus that still remains on Avenue Road north of St. Clair Avenue. The Deer Park Sanatorium, which once stood at 72 Heath Street and is now the site of apartment buildings, operated as a private hospital employing a staff of twenty-two until the early 1920s. Several key Deer Park streets — Balmoral, Farnham and Clarendon Avenues — get their names from places in Britain, adding to the upper-class tone of the neighbourhood. In Deer Park, there is an eclectic collection of detached and semi detached homes built between 1875 and 1920. A variety of architectural styles, including neo-Tudor and Colonial Revival, is represented in the neighbourhood. Since the 1980s, townhomes have been added to Deer Park without spoiling the beautiful atmosphere created by the older homes in the neighbourhood. Modern luxury condos with balconies offering picturesque views of the park, the ravine, or the city skyline are also common in Deer Park. According to statistics, it is most likely that your neighbour is around 44, a white collar worker, Roman Catholic, owns a cat as a pet, reads nature magazines and lives in a rented home. Rosehill Reservoir Park One of Toronto’s prettiest parks can be found on Pleasant Boulevard. Take your dog or get on your bike and enjoy the surfaced path that wraps around the park. If you have kids, take them to the lovely top tier of the park, where they will enjoy the large children’ s playground and the wading pool. This part of the park is also decorated with a water fountain, a reflecting pool, and a waterfall. David Balfour Park Next to the Rosehill Reservoir Park is the David Balfour Park, named for an anti-communist Toronto city councillor and member of the Board of Control, David A. Balfour. This park of diverse beauty runs from the southern tip of Mount Pleasant Cemetery to Mount Pleasant Road, just north of Roxborough Avenue. Hike away from city life through the wilderness of the Vale of Avoca Ravine or take the flat path on the east side if you don’t feel up to a challenging route. Oriole Park Located at the northern tip of Deer Park, this gorgeous park has a playground, a wading pool, two tennis courts, and access to the Beltline, a seven kilometre path that follows the route of Toronto’s old Belt Line Railway. Thanks to the initiative of the Capital Projects Section of Parks, Forestry & Recreation, the park is currently being revitalized in order to provide exemplary play opportunities for children of all ages and abilities. If you are an art-lover, stop by Printziples Fine Art at 1470 Yonge Street. 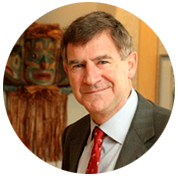 It offers an outstanding selection of original artwork including oils, acrylics, serigraphs, and lithographs from both Canadian and International Artists. When strolling along Heath Street, look for the one lone example of the Prairie style in Toronto, situated at 50 Heath Street West amidst a sea of neo-Tudor and Colonial Revival houses. The McNamara House is extraordinary with its flat roof, deep eaves, and solid white walls. Built around 1920, it does not rely on historical references, but on an emphasis of geometry with its massing of rectangles and squares. Have a glance at the Victorian Willis House, at 55 Heath, which is listed in The City of Toronto inventory of Heritage Properties for its architectural importance. Then, check out the house at 42 Heath Street West where Canada’s most notorious bank robber of the day, Edwin Boyd, was captured on March 15, 1952. A few steps further along, at 37, 39, & 41 Heath Street West, marvel at the Hoskin House, which was built in 1880 and altered by architects Peter Gabor and George Popper a century later. They won the “Ontario Renews Award” for the restoration project. Other Significant Deer Park buildings include: the Imperial Oil building at 111 St. Clair Avenue West, built to the original design for the Toronto City Hall, with its top floor observation deck and famous mural; and the award-winning Wittington Tower, a 20-storey octagonal tower located at 22 St. Clair Avenue East. Sculptures Silent Poem and “bacchanalian figures” will capture your eye outside 9 Deer Park Crescent, between Heath Street West and St. Clair Avenue West, west of Yonge Street. First is Clayton Spanton’s 1971 abstract “Silent Poem,” which suggests a kind of musical instrument. The other one is the festive scene of six roughly-textured panels of burnt clay affixed to the walls around the main entrance, depicting musicians, dancers, centaurs, and other “bacchanalian figures,” as John Warkentin describes them. You are where fashion, flavour, and fresh ideas meet in the heart of Toronto! Deer Park residents and shoppers from all over the city enjoy the bustling streets studded with high-profile retailers: boutiques, coffee shops, bakeries, fruit markets, butchers, and pet supply stores. Most of the local staple and grocery stores — such as the pricey Loblaws ‘To Go,’ PharmaPlus, and City Optical — are located within the St. Clair Centre, with additional options like Bruno’s Fine Foods in the Delisle Court, and freestanding mainstays like Shoppers Drug Mart on Yonge Street just north of St. Clair. If you are looking for shoes, clothes, or beauty services, it is a great spot to satisfy your needs! With five shoe stores, a Roots, and a few ladies’ boutiques, you can easily find what you’re looking for — even on your lunch hour. After all, the shopping at Yonge and St. Clair has become most likely to service the office workers who are looking for something fantastic on their short breaks from work. Check out a list of shops here. Delisle Court At 1560 Yonge Street, Toronto, Delisle Court has been the centre of shopping at Yonge & St. Clair for the past 30 years. Built in 1976, it is currently home to 25 retail tenants. Among them are some leading Canadian retailers, including Bruno’s Fine Foods, Second Cup, Flight Centre, Il Fornello, Pet Valu, and Cava (the new restaurant of world renowned Chef Chris MacDonald). St. Clair Centre Steps from St. Clair subway station, the centre is home to 36 shops, services and eateries, a food market, and a fitness club. Sobeys A large grocery store, at 81 St Clair Ave East, that is open for 24 hours. 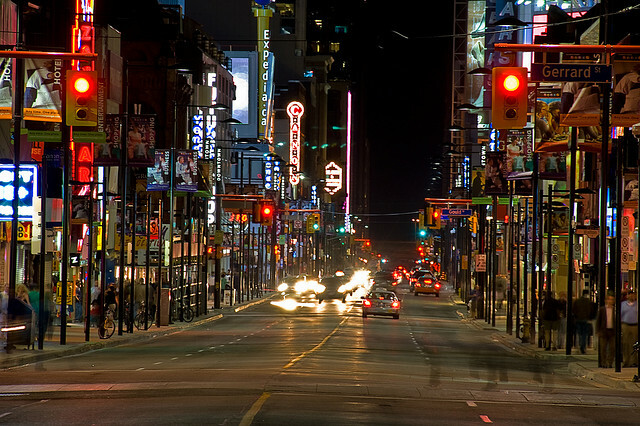 The Yonge and St. Clair shopping district is known for its many fine restaurants. Here you will find a plethora of great restaurants specializing in lunch menus that satisfy any taste. Subway. The St. Clair subway station on the Yonge-University-Spadina subway line serves the centre of the neighbourhood. It is within a walking distance from any home in Deer Park. Streetcar. 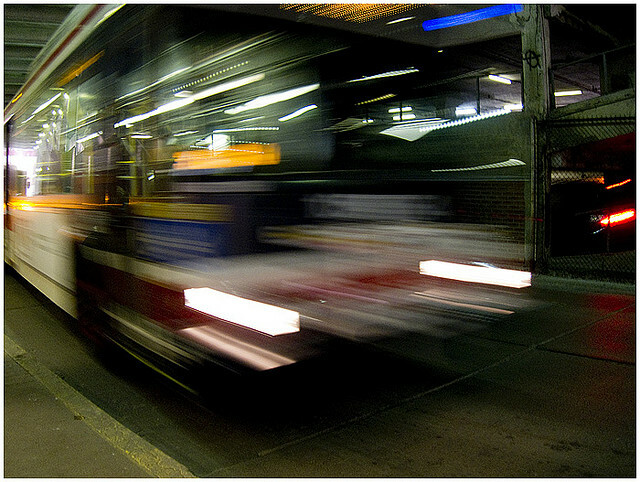 The new 512 Streetcar runs along St Clair Avenue from St Clair station to Weston Road. It operates in its own right-of-way, with a raised curb between the streetcar tracks and regular traffic and a limited number of stops compared to regular services. As a result, the 512 Streetcar is an excellent way to see St Clair Avenue. By Car. 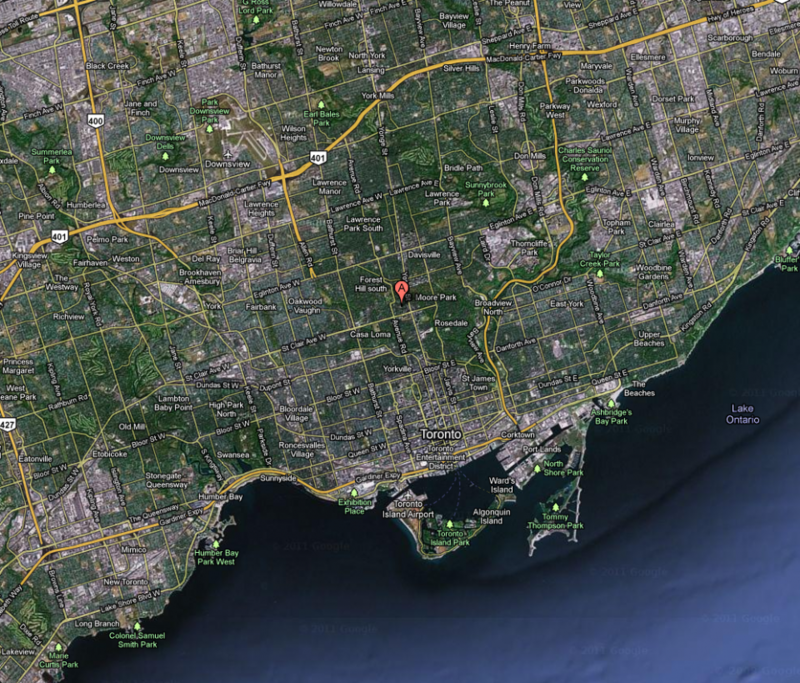 Motorists are approximately ten minutes from downtown and twenty minutes from Toronto’s Expressways and Highways. Deer Park has three famous churches. The first one is Deer Park United Church, which was erected at 129 St. Clair Avenue West in 1913. The other one is the immense Yorkminster Park Baptist Church, built from 1926 to 1928 at the northeast corner of Yonge and Heath Streets, which is Canada’s largest Baptist Church. 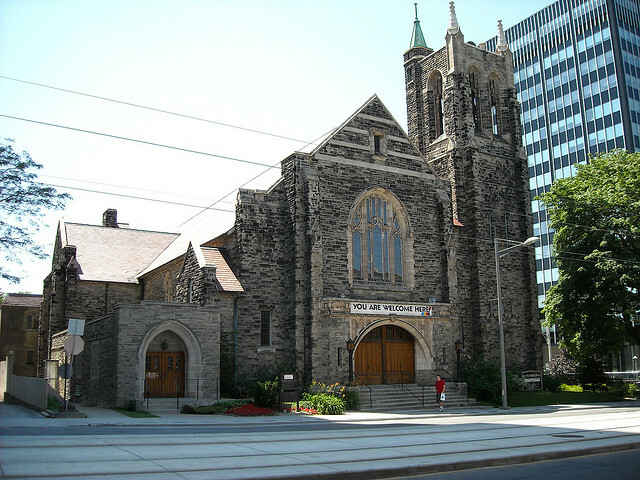 The third one is an Anglican church, Christ Church Deer Park, built at the northwest corner of Heath and Yonge in 1922, offering a plethora of community events, clubs and activities including unique Jazz Vespers. Thank you so much for this informative website. I am a student writing an essay on architecture in Toronto and I am looking for the history of a specific building, which is now 49 St. Clair Ave West. Do you have any tips or resources that could help? Thank you. I am happy you like my site and find it informative. Two sites that I use frequently to find information about buildings in Toronto are http://www.tobuilt.ca/php/tobuildings_search.php? & http://www.emporis.com/buildings. I hope this is helpful. I was thinking about opening a childrens’ book store in the Deer Park area. 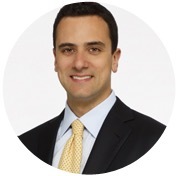 Do you have any information about the cost of leasing or purchasing retail space in the area?